Here at Adventure Student Travel, we send several student groups to Hawaii each year, be it for a performance trip, educational extended field trip, or a celebratory senior trip. 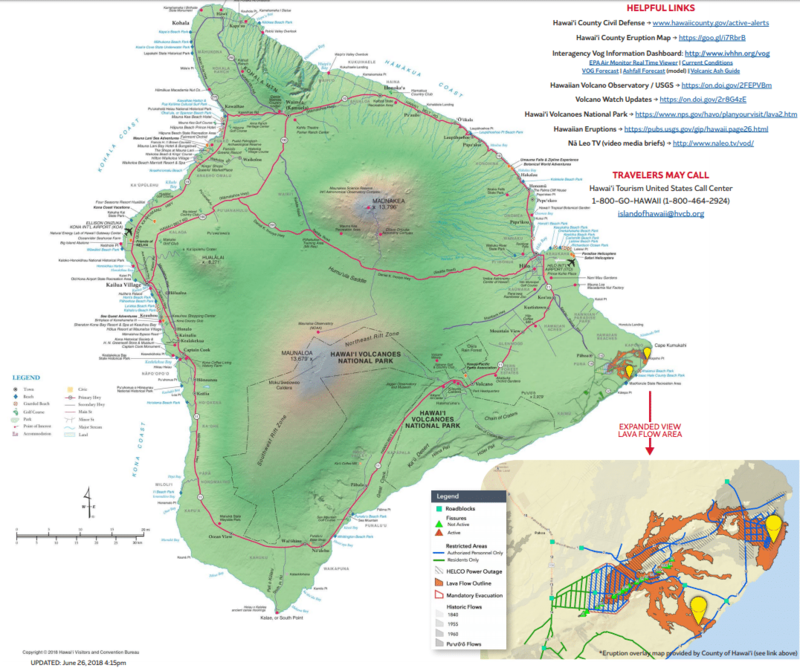 Each time we put together one of these trips we like to do our part in ensuring your group knows all the ins and outs of the geography of the islands, which is why we have put together this handy little guide to the Hawaiian Islands! 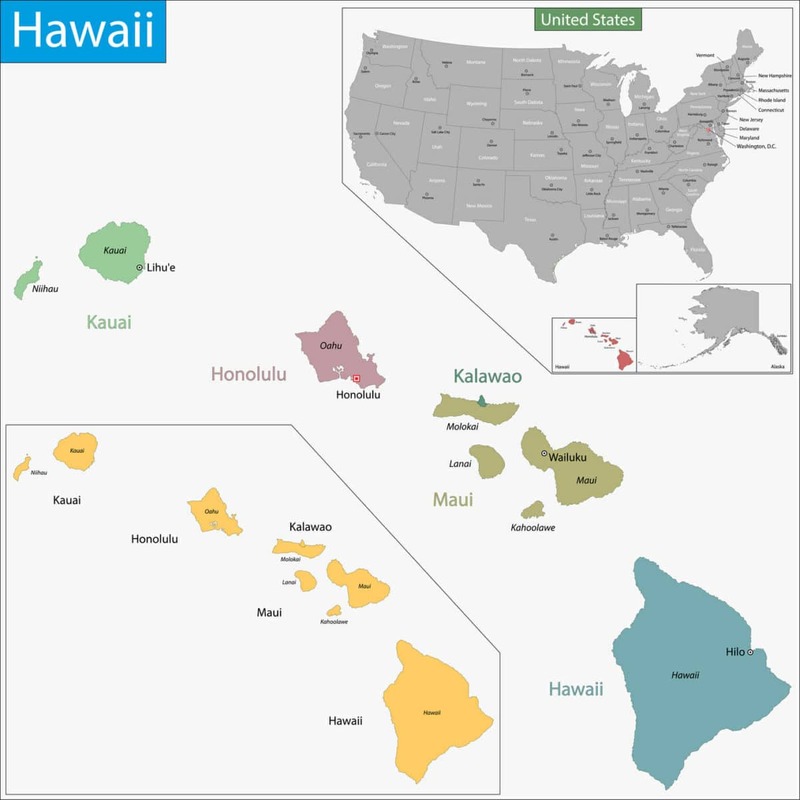 Hawaii is considered to be the world's largest island chain, and the only US state made up of islands. 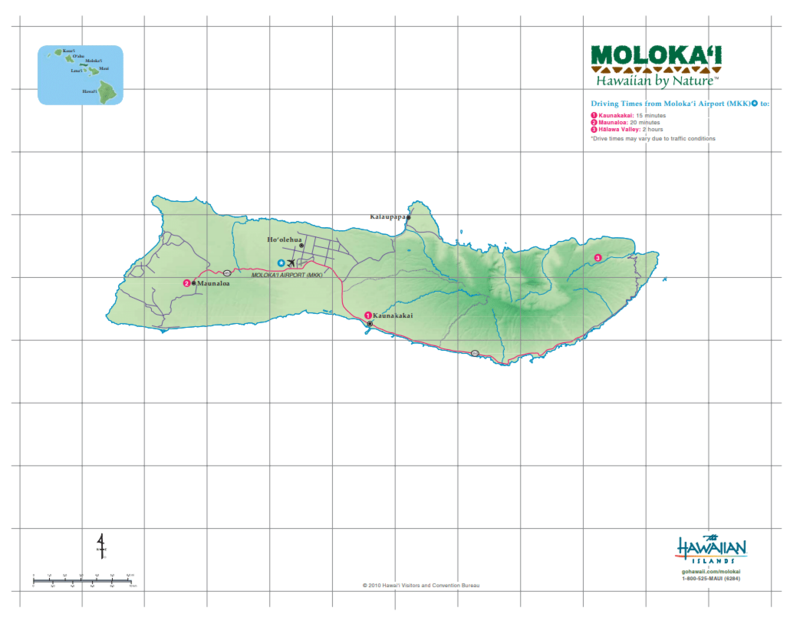 There are 6 total (major) islands. These islands are all volcanic, meaning they are made of tectonic plates rubbing over a particularly hot spot beneath earth's crust. The rock melts over the spot turning into magma, eventually breaking through the surface of the earth. Mauna Loa's lava fields are so dry that astronauts once used it to practice for lunar voyages. 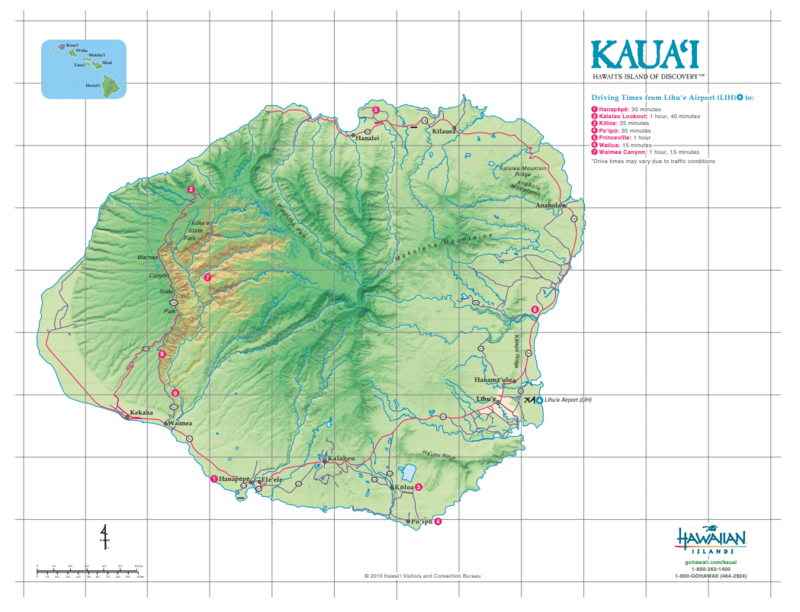 Mount Waialeale (Kauai), on the other hand, is considered to be one of the rainiest spots on earth, sitting at about 385 inches a year. Kilauea has been erupting for over 30 years, the lava expanding the land by over 40 acres each year. British explorer Captain James Cook was the first European to discover the islands in 1778. It is believed that Hawaii has been inhabited since 300 BC, with the earliest settlers being Polynesians from the Marquesas Islands. 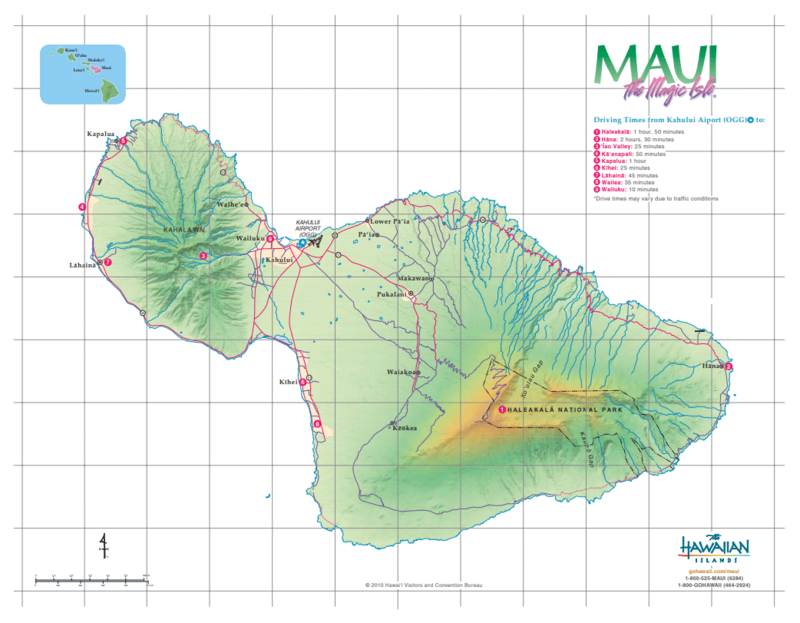 Hawaii is about 2,000 miles southwest of the continental United States, and about 4,000 miles from Japan. 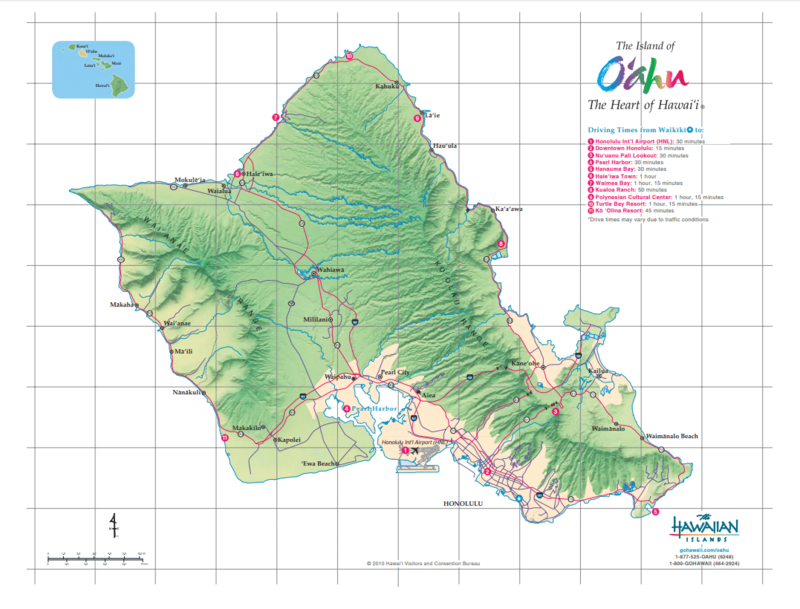 The Big Island is the largest island, hence the name; however, the island with the highest population is Oahu. Leeward: West, Warm, Dry. Windward: East, Wet, Green. "Garden Island" - Lush green mountains, valleys, falls, caves, and shoreline. "Tourist Island" - Home of some of the best beaches and attractions within the Honolulu area (Waikiki). "Native Island" - High population of local ancestry and many inaccessible areas for tourists. 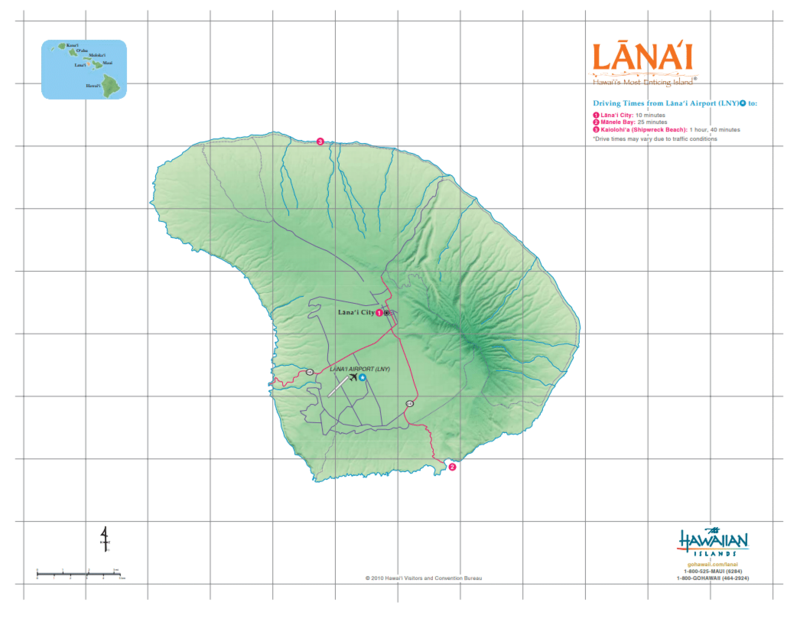 Main Geographic Features: Maunaloa, Kamakoa, Mt Kamakou (highest point4970 ft), Sea cliffs of the North Shore Pali (tallest in the world at 3,900 feet). "Pineapple Island" - You can still see open fields where pineapple once grew in the plains of the Palawai Basin. "Beach Island" - Gorgeous beaches and resorts in West and South Maui.